These are DELICIOUS! Thank you for posting! Made these to celebrate Mother Teresa’s canonization! PERFECT! Oh, no………you have got to be kidding me! This is definitely a way to break my resolution! Hi there! The amount of milk in this recipe confuses me. Should I choose between 1/3 and 1/2 cup? Thanks! My husband and I are huge chai latte lovers. For Christmas he gave me a jar of King Arthur’s Chai spice. So last night I decided to put it to use. I found your recipe after looking at many others, and decided it looked like the best one to try. I tweaked it a little by using 3 teaspoons of the chai spice instead of all of the different spices. My husband who is not a cupcake fan, actually loved them. I also did a regular buttercream and used eggnog instead of milk and added 1/4 tsp of the chai spice to it. It was amazing. Thanks for sharing your recipe. Thank you so much for the spice mix recipe! The flavour and proportion of the spices are perfect and it means I’m not dependent on chai spice tea bags or commercial chai mix to make a chai spice cake. I added the spice to my favourite vanilla cake recipe and steeped 3 tea bags in some hot milk and then cooled it before using it in the cake. Definitely a keeper. Thanks again. Would I be able to make this as two 6-inch rounds, and if so, do you have a suggested baking time? Thank you! This is my favourite cupcake recipe of all time. I’ve made it countless times, and it works perfectly even with shonky rental ovens. Delicious, unique and reliable. Thank you so much. I saw this and thought oh my yes I want to make those, kept scrolling getting exited to make them and then looking at the recipe absolutely not a drop of Chai in the recipe only spices. very disappointing will keep looking for a recipe that has chai tea in the recipe. chai tea is “chai” because of spices… not tea? chai tea is black tea with chai spices. 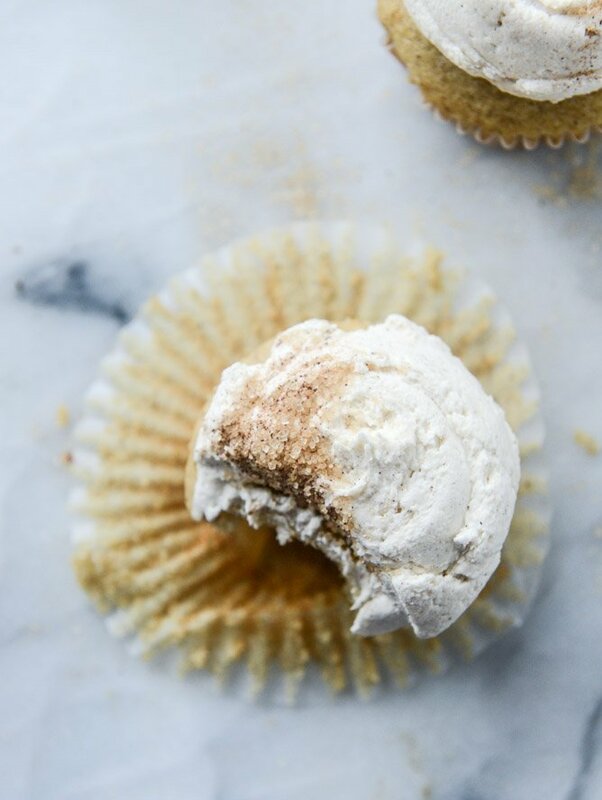 all of those spices are in these cupcakes. 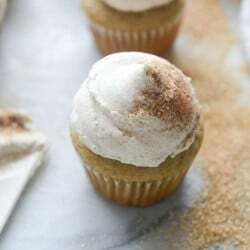 they are called chai cupcakes, not chai tea cupcakes. the are full chai spice, but they do not have tea in them. hence the name! I made these and I love Chai. 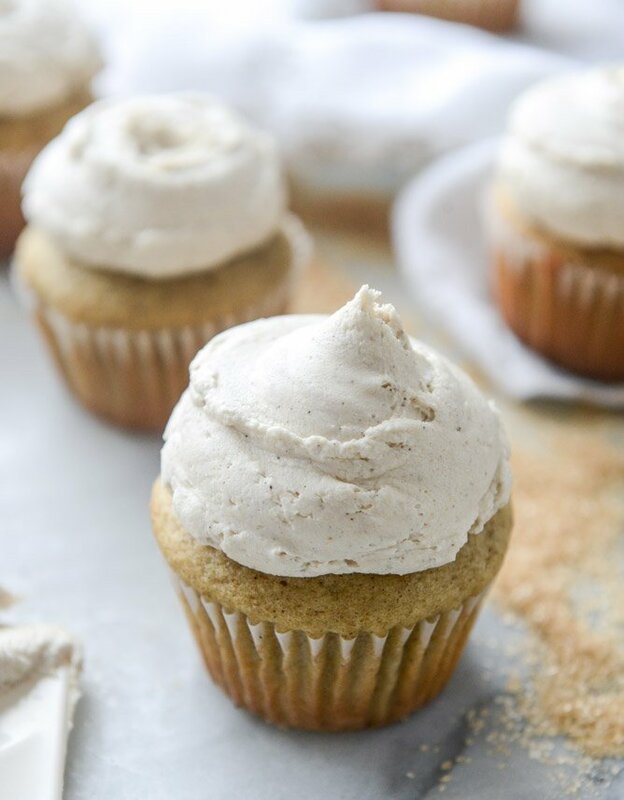 These have all the flavors of chai and the frosting is sensational. Foolish to pass them by! They are delish! I made these in mini cupcake form for a Moms Night Out event for 50 women and everyone was in love with these! Now my daughter wants her bday cake with this recipe! Thank you for a great recipe! Love it!